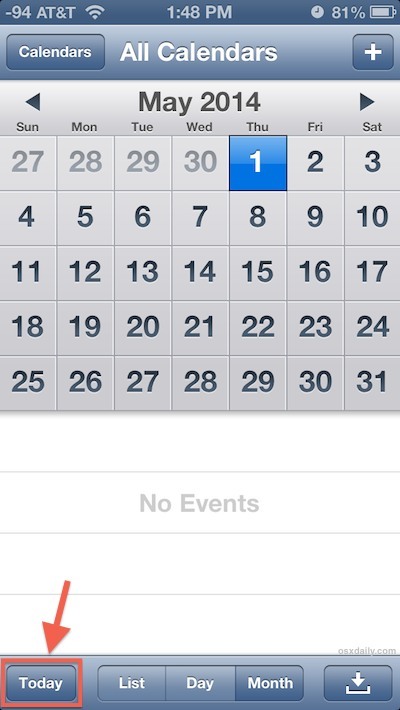 Using the Calendar app on the iPhone, iPad, or iPod touch to navigate far into the future or back in time doesn’t have to be a slow process of constant taps to find a distant event or important date, and neither does jumping back to the current date once you’re far removed. 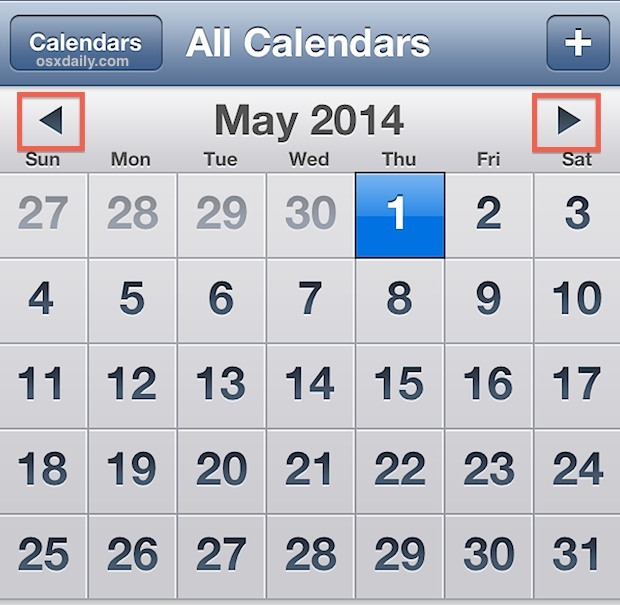 Here are two quick tricks that will dramatically speed up navigation in the iOS Calendar app. Rather than repeatedly tapping the arrow buttons, you can rapidly flip through calendar months and years by tapping and holding on the arrows instead. The longer you hold the arrows, the faster the acceleration into the past or future, and there is no quicker way to jump way ahead or far back to a distant month and year than this trick. Now that you’re far out in the future or deep in the past, you can also instantly jump back to the current date by just tapping on the “Today” button at the bottom. If this doesn’t make a lot of sense, it’s better demoed in real time. Try it out yourself in the Calendar app for iOS, or check out the video below which demonstrates both flipping back and forth in the Calendar in addition to jumping to todays date. Which application do you use in order to mirror the iPhone’s screen on the Mac? I wonder what else people thought it might be for?